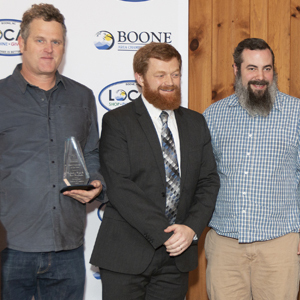 The Boone Area Chamber of Commerce announced its winners of the 2018 Business of the Year Awards during the 3rd Annual High Country Economic Kickoff Breakfast Thursday morning at Appalachian Ski Mountain. The Real Estate organization as a combined force is one of the largest and most comprehensive in the region with over 50 Realtor agents and an additional 35+ employees. The group of agents and employees stays active with local civic organizations with members on Rotary and Kiwanis Clubs. The company also stays engaged with the Humane Society, Habitat for Humanity, Santa's Toy Box, and local EMS. The High Country Food Hub is an online market for local food and artisan goods. 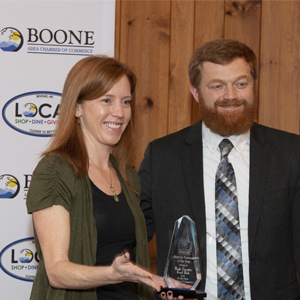 Operated by Blue Ridge Women in Agriculture, it features over 500 products from 50+ small-family farms and food entrepreneurs from Watauga and nine surrounding counties. Shoppers can easily support local farmers and food businesses from the comfort of their own homes by placing an online order year-round, every Thursday - Monday and pick up their ready-prepared local shopping baskets every Wednesday from the convenient location in Downtown Boone. 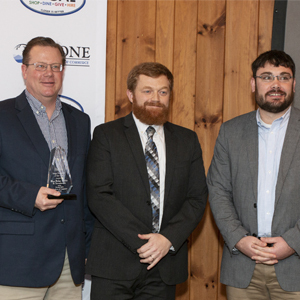 In 2018, High country Food Hub created an innovative, collaborative online platform for 62 local food businesses to reach new customers. In its first full year of operation, the online store processed over $100,000 in online sales of 775 local food items and artisan goods through the online farmers' market in 2018 (compared to $26,000 in 2017).